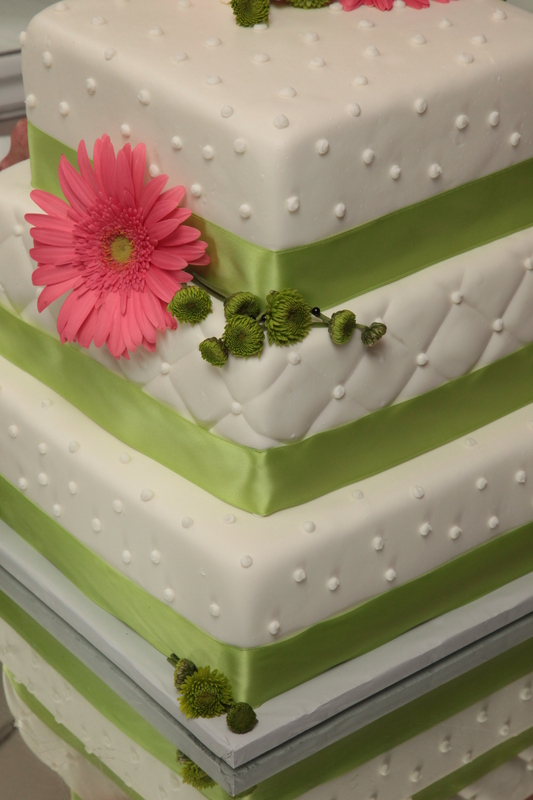 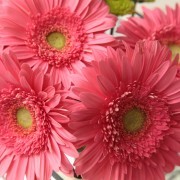 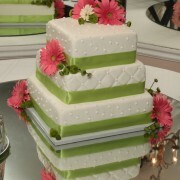 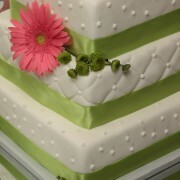 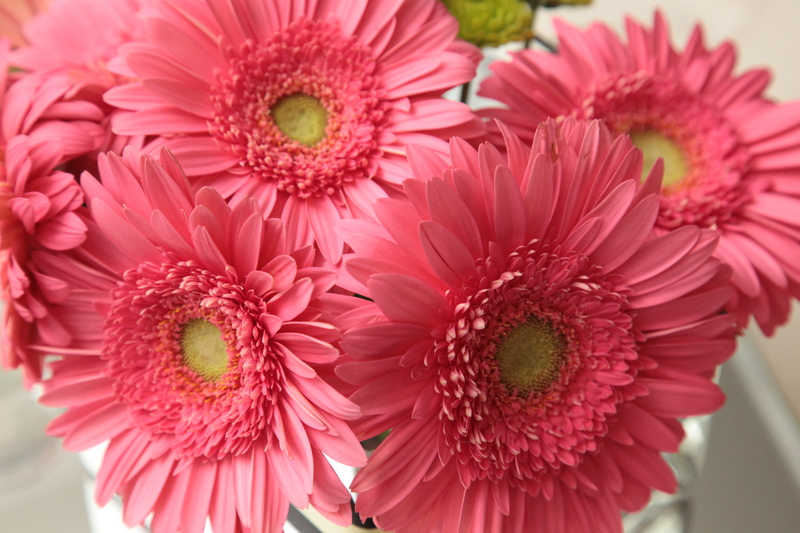 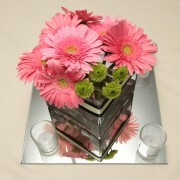 Coral gerber daisies and cute mini kermit mums added a pop of color to the otherwise black and white themed occasion. 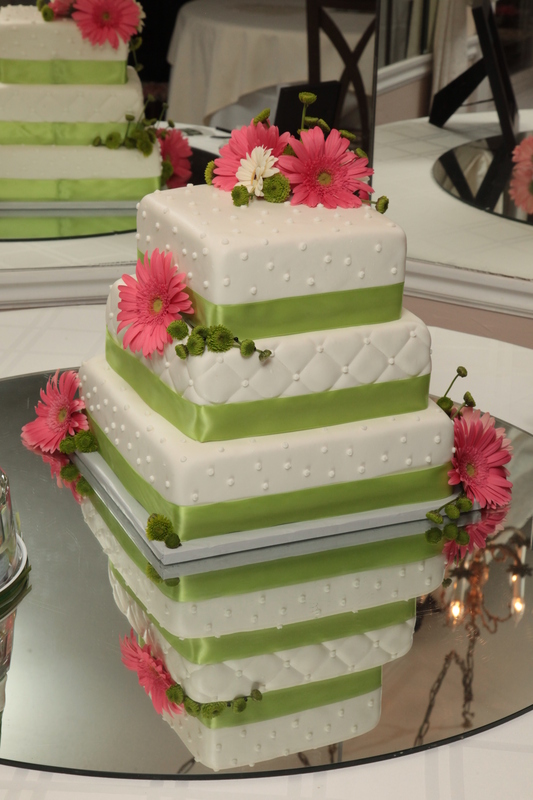 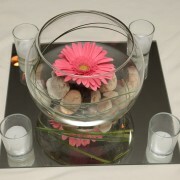 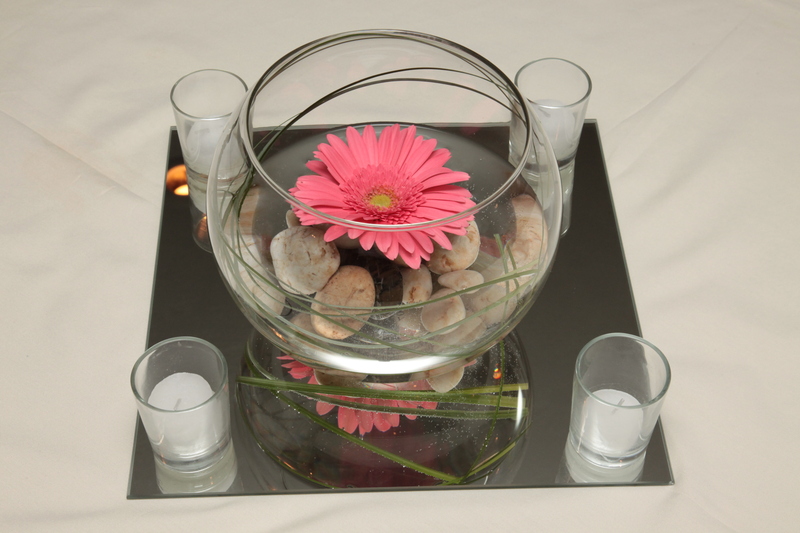 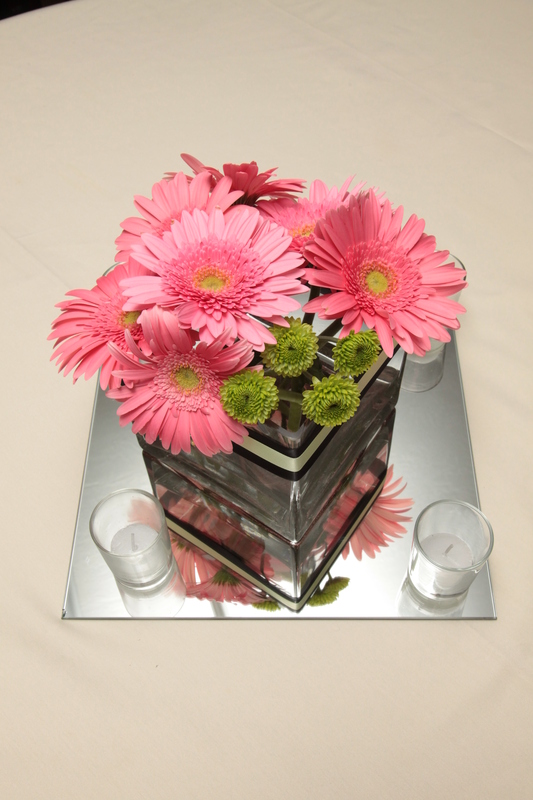 Tables at the reception alternated between full vases of Gerber Daisies and single floating daisy centerpieces. 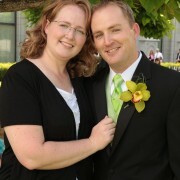 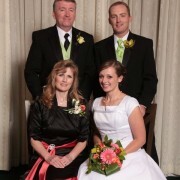 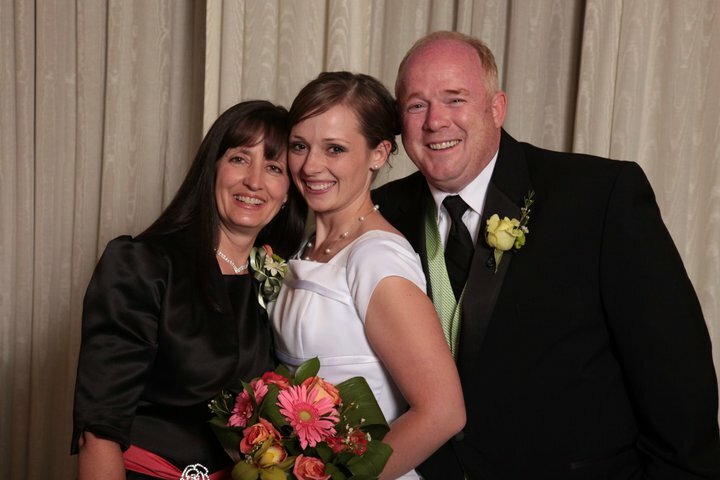 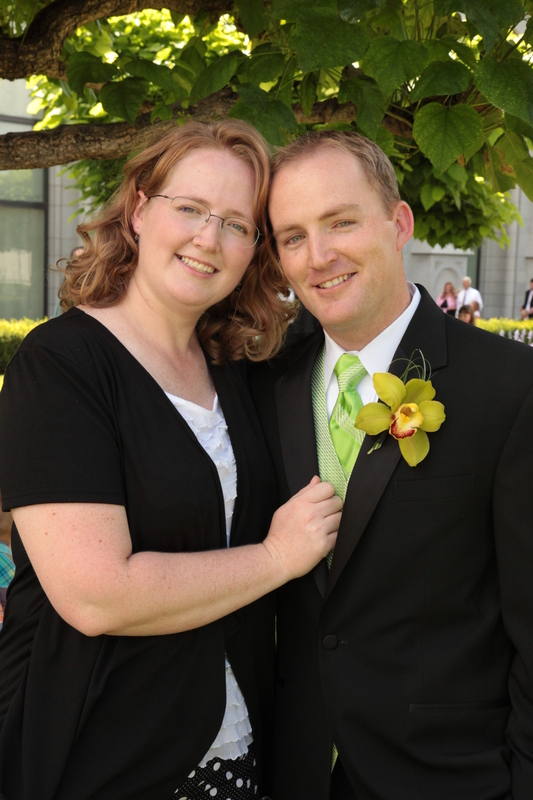 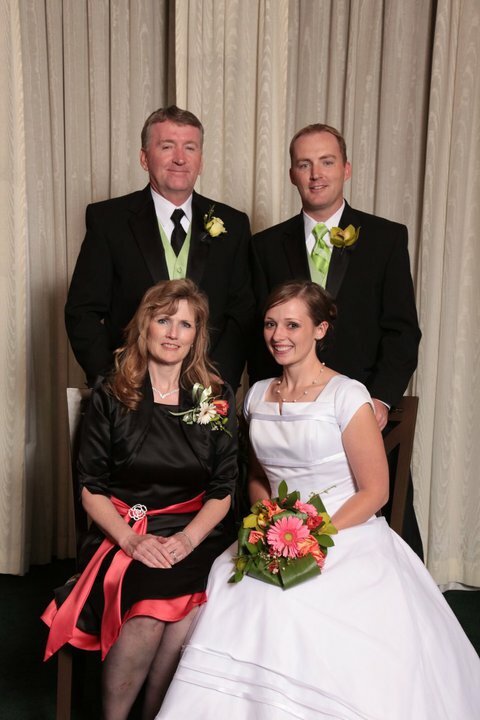 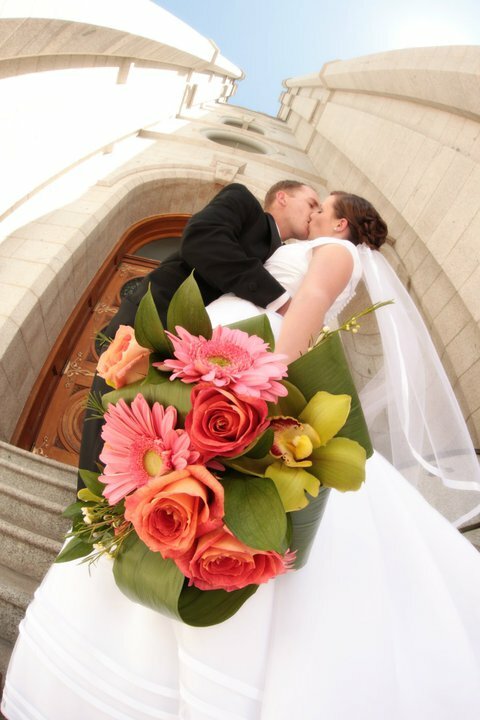 The couple was married in the Salt Lake Temple, and celebrated with friends and family at the Silvercrest Reception Center in Sandy, Utah. 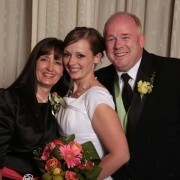 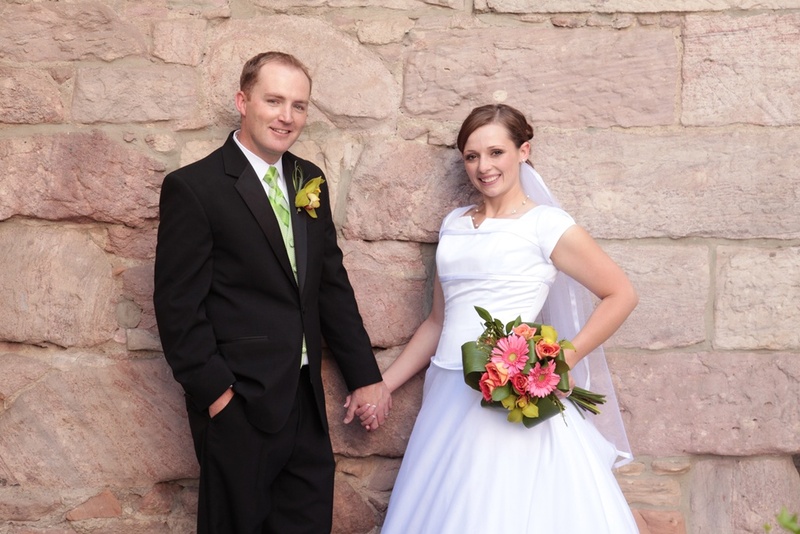 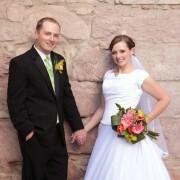 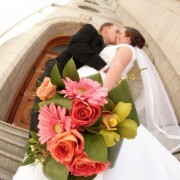 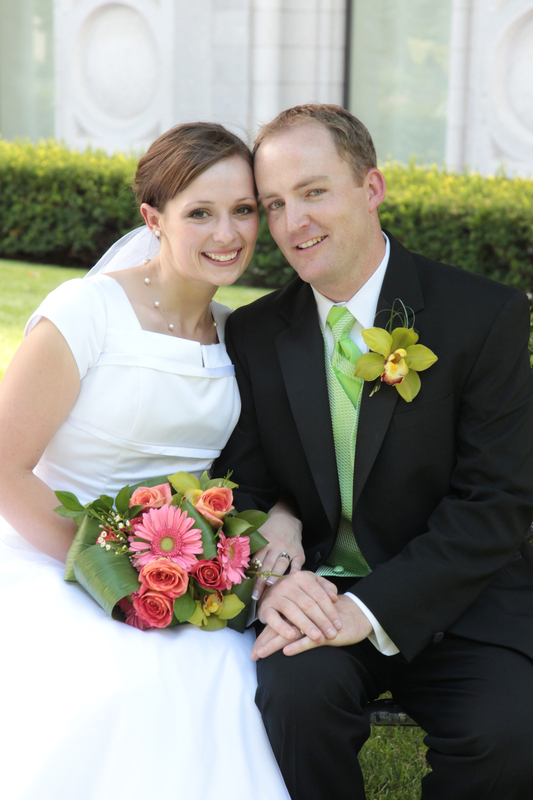 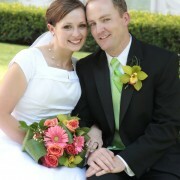 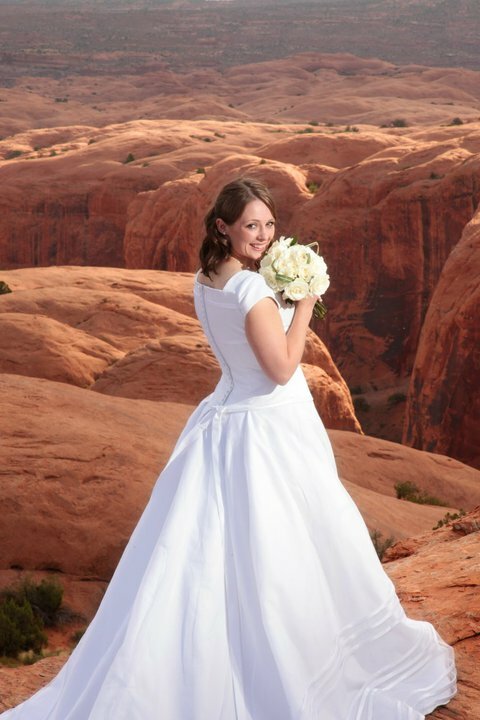 A simple, white, rose bouquet was used during the Bridal photoshoot in Moab, Utah.